The weather in Singapore is hot and humid. It is sometimes very difficult to even catch sleep as a result of this unfavorable weather. With this in mind, you need to keep your air conditioner working i the best of conditions. Proper and regular air conditioner servicing will ensure you are able to have the best quality of air within your household. You would definitely not be comfortable with the inconveniences brought about breakdown as a result of poorly maintained air conditioner. 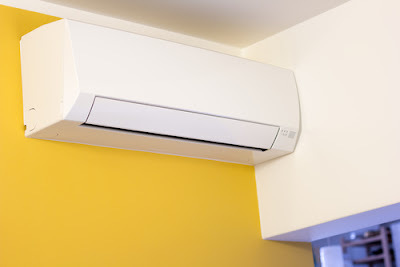 Apart from giving you the convenience, a proper air conditioner will work efficiently, reduce the cost of energy within your home thus reducing your costs of operation and last longer thus giving you value for money in the long run. Your health, well-being and comfort are of utmost importance to you thus the quality of air you breath in your home must be proper. You thus need a proper air conditioner. There those times when you can your air conditioner may not be working properly but you can actually restore its functionality by yourself. Do not do this blindly by using guesswork or try and error method of repair. Reading the user guide will give you an idea where the problem may be and also give some tips on how to remedy the situation. If you do things without knowing, you may end up making the situation worse which may be costly in the future. The user guide will also explain where the various components of your air conditioner are located if you forgot. It may also specify to you some of those problems that may need the services of a professional to repair. This saves you the need to guess where the problem may be thus saving you time and energy in the process. 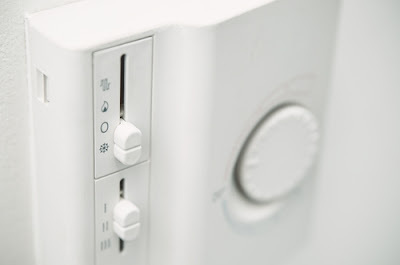 It is important to note that you need to switch off the main power supply before embarking on a do-it-yourself servicing of the air conditioner. You spent your hard-earned money to acquire and install your air conditioner. It costs money to restore its functionality too. There are also those times that the air conditioner needs more than just the regular maintenance that you can do yourself. These are the times when you need to get the services of a professional to help you repair it. When opting for this professional, it is important that they are able to prove that they have a professional work record that is worth the money that you are going to pay them. Proper proof that they are properly skilled must be sort. They must also produce a licence that allows them to operate. Do not deal with fraudsters. 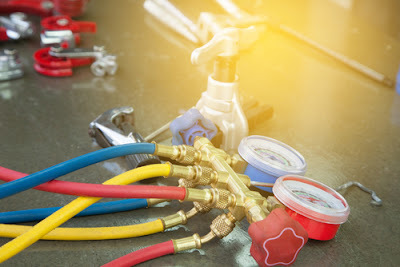 A reputable professional repair company will ensure you are able to restore the functionality of your air conditioner within the shortest time possible and getting value for your money. They will also give you advice on how to use your air conditioner properly so as to prolong its lifespan. This is because you may not be well versed with some technical aspects of the air conditioner. A dirty filter may blow hot air in your home. This is not what you want within an environment where comfort is of utmost value. It may also blow air with dust debris. This means that the quality of air within your home may be greatly compromised. You may start showing signs of allergy caused by dust. This is why you need to have the filters working properly. It is important to replace your filter on a regular basis to have a better environment. In case your conditioner is using a re-usable filter, it is important to clean it on a regular basis. The quality of the thermostat in your air conditioner will determine the quality of air you breath within your household. It is thus important to have a thermostat that is working well to maintain a better home. Consider having a programmable thermostat that works more efficiently when you are home and reduces the amount of energy consumption when you are not home. This will greatly reduce your expenditure on electricity. This will prove to be a worthy expenditure that will greatly reduce how much you spend in the long run. Leaves, dirt and other debris may land on your air conditioner. This may make your air conditioner not to function properly. This is because these obstructions may prevent free flow of air within your air conditioner unit. 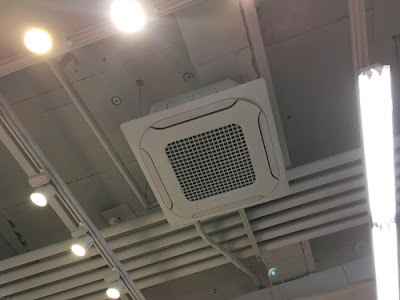 The vents that blow air must be open for the air conditioner to be more efficient. Gently clean these areas to have your household as an area worth living in. The fan of you conditioner need to be replaced if it shows any sign of having a few blades that are broken or very old. The motor bearing also need to run efficiently. This therefore means that they need to be oiled on a regular basis for proper functionality as well as assurance of efficiency. Your air conditioner has a evaporator and condenser coils. Any accumulation of dirt in these coils hinder the flow of air within the air conditioner. This makes that air coming out of the air conditioner warm and dirty. This may bring health risks within your home. 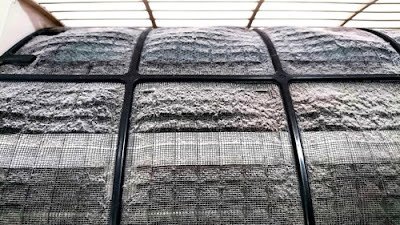 It is important to have a proper filter to reduce dust accumulation in these coils. For the coils that are outside the house, it is important to clean then on a regular basis. 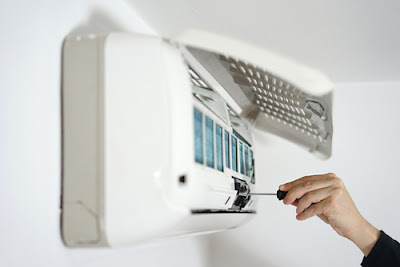 If you are not confident about your ability to service your air conditioner yourself, it is important to opt for these services from an approved professional. You do not want to run the risk of destroying your air conditioner even more. Purchasing and installing a new one as a result of your carelessness may not be a risk you want to run into. People who understand the value of money is exceptionally cautious when spending them. However, in the process of saving money, they often end up paying more in the long run. This is particularly clear when we buy a modest product and spend more on after-sales service. Hiring the right aircon system for your office or home is a similar case. People often end up buying an incorrect aircon system or aircon services just to save money in the initial phase. It is not necessary to say that, they often end up in service charges, electricity bills, etc., and at the same time they do not have the comfort they were supposed to have for the money. People often search online for aircon service providers at their location to find the best aircon company in their area. They often think that search engines like Google will show them the best companies. However, it is not enough when you are buying a unit or aircon services. Before hiring a company, should it be verified exhaustively? Ask your friends or partners if they have previous experience of working with an aircon service provider. These people can have a genuine experience of dealing with an aircon company and can offer you a better option. If you cannot find anyone who can help you identify the best aircon company, do a search of your location. Once you have the company summary ready, check your background by searching again with their names. This will help you discover what individuals think about these companies. If you have a local community, ask the question directly in the forum to see some of the good aircon companies in your area. These measures often help to find a good company. In addition to that, if you have already identified some companies, you can also ask directly about the opinions of users about them. You can also use your informal organizations to zero a group. Exchange with each of the companies you have pre-selected and ask what they can offer according to your real needs. Discover your accreditation and if you have enough experience and qualification required to install and provide maintenance service for your aircon system. It is not necessary to indicate that the individual interaction is the best situation to select the appropriate person or company. Just make sure you have done your homework before signing the papers. It will save you a lot of time and money in the future. After you have perceived how to find the best aircon services below, there are some ways to determine if the company is right for you. Therefore, you must make sure you choose the right one that will help you meet your requirements in the right way. If you do not get the best one, it would never make you happy with your selection. Therefore, you should make sure to choose the perfect air conditioner that exceeds your expectations in the right way without any reason to remain tense. The right amount of effort is essential when you have to make sure you choose the best one that takes you to your satisfaction. Does it provide the best guarantee? It is essential to find out if it offers the best guarantee for your aircon services that would help you get the right amount of satisfaction. If you cannot get the right one, it would only make you lose your opportunity and also your money. Therefore, it is vital that you find out all the correct information that can help fulfill your purpose. Can you get the perfect quote? The best aircon service would also help you get the perfect quote that would correctly save a lot of money. This, in turn, will make you discover that you have improved meet your requirements. Therefore, you should make sure to contact them in the best way. Air conditioners are accessible in different types that can match your home depending on the size of your home and your energy source. 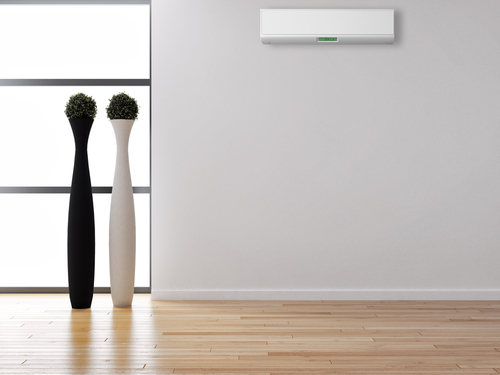 You should make sure to buy an aircon unit that can provide enough freshness to your space. Also, the unit should not be too big for your room so that it does not cost too much. When you have purchased your unit, you can extend your life by having it checked regularly. You should be aware that the internal components of your unit are likely to separate over time, which may cause the system to start losing its efficiency level. That is why it is imperative to find a reputable repair service that takes care of your air conditioner and keeps it as functional as ever. 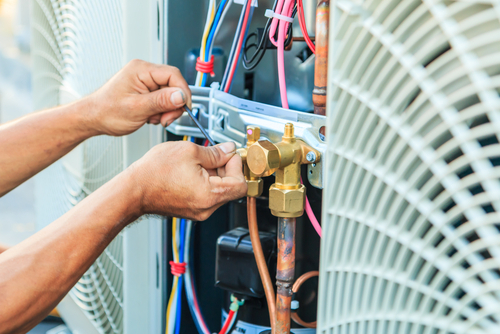 Regular maintenance of your air conditioner allows your unit to operate smoothly. You can check it before the summer arrives to make sure that each part of your system is kept careful and competent. During the first years of your unit's life, you are unlikely to experience or notice dropouts; however, by accentuating this problem, you can avoid complex issues in the long term. Aircon service companies are expected to clean their unit, which includes the disposal of debris and explosions and other things that can cause problems in its operation. The company will also control something more than the inside cushions of the unit since the vents and ducts must also be checked. Contemporary groups have several air channels and are working with air cleaning technology that must also be evaluated to maintain their life and operational capabilities at the top. Depending on the service company, the unit will be cleaned in light of its specific cleaning process. 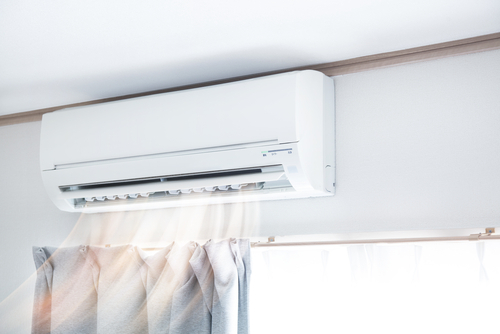 It is important to remember that the maintenance of your aircon unit should start with your effort, for example, making sure there are no debris and debris around your group, especially when it comes to a ground air conditioner. Your unit should not come directly to the sun to save your life. Air con is a home appliance that uses refrigeration mechanism to extract heat from an area. Most homes around the world are fitted with this appliance to control the heat. Homes in areas below sea level use air con to cool the house down due to extremely high temperatures. Air cons require regular servicing for it to remain offering the service without failing. While most people can go for years without doing air condition servicing, those who understand its benefits and the reasons for servicing it cannot postpone a scheduled service. Singapore, for instance, is one country that has lots of air cons fitted in homes. There are a number of reasons every person who has an air con needs to service it. Here are just a few of them. · ·Enjoy cleaner air- clean air is important to your health. Ensuring that you are breathing clean air especially in your house should be paramount. Most people prefer to switch their air conditioners on at night. Doing regular air con service will ensure that fresh air free of germs and other disease-causing bacteria is flowing through the house. In the end, you will realize that your doctor appointments will reduce and in the process save you tons of money. 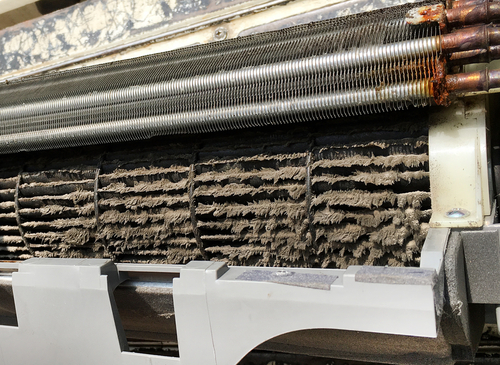 · Improve air con efficiency- dust and other debris that may have deposited on the air con can substantially reduce its efficiency. Since it runs on a motor, if dust is deposited it can reduce the speed at which it rotates. That would mean that even the energy consumption will go up. Servicing it will also ensure that you save on utility bills such as electricity bills. · Prolong its durability- we all hate to buy the same thing all the time. Air con is a machine, and every machine needs to be serviced. Be it a motor vehicle or an iron box. The air conditioner is no different. Regular servicing will not only ensure that any faults are detected early it will also ensure that you do not go back to the store to purchase another unit before the shelf life of the one you have expires. · Regular diagnosis- the air con servicing technician will always diagnose your unit to check if there are any problems with it. Detecting a problem early is helpful since it can be repaired before the whole unit breaks down. In turn that will save you money from repairing a broken one or even replacing it. These early problems could be it has a leakage which you would not have noticed if you have not scheduled a service in the first place. At the heart of air con service is getting the right person to do the job. So when you are looking for someone to service your unit, take time to research the best person for the job. Someone who understands what they are doing is who you should be looking for. There are many companies and freelance technicians in Singapore who claim to do air con servicing. It is recommendable that you get one who is trusted and stick with them. It is always good to take preventive measures so you might want to find out if they are licensed before you hire them. What are the major air con problems? There are several common problems that you might encounter with your air con. These could be the first telltale signs that your air con needs servicing or perhaps a service is overdue. Here are some of the common ones. · Failing to turn on- this problem can be as a result of a faulty wire or a burnt fuse or perhaps a problem with the thermostat. If you encounter such a problem, disconnect the power from the main switch and contact a licensed repair firm or your trusted repair technician. · Vibration of the fans- the fans are supposed to remove the heat from inside or a room and release that heat to the atmosphere. If the fans are vibrating and you can tell they are not performing as they should then perhaps there is a problem with the motor or the capacitor. If you encounter such problems, make sure you contact a licensed servicing firm. The technician might advise you consider replacing faulty part. · Leakages- leaks, when an attended, can render the unit useless. 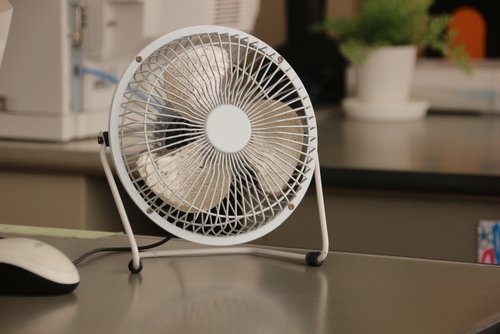 Leaks can attract molds which can form around the fans. At the earliest citing of a drip immediately contact your servicing company for assistance. 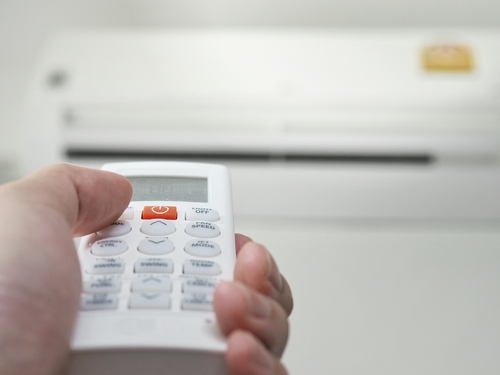 How do you know if your air conditioner needs servicing? · Unusual noises- when you have stayed with an air con for long you get accustomed to its usual sound which is very minimal noise. Due to continued usage of the unit, some parts begin to wear out and hence start to make some unusual noises. If you encounter such noises that are to mean your unit needs to be serviced. · Continuous running- the air con is designed in such a way that it runs for some time then pauses for the room temperature to adjust again then it automatically turns itself on. If it runs continuously, it can only mean either the cooling capacity has greatly reduced or the temperature sensors are faulty. Either way, you need to contact your technician or your servicing company to do that. · Frequently turning on and off- there are intervals when the air con should turn on and off. If this interval reduced, it means that either the temperature sensors are broken, or there is a problem with the fuses. Either way, you need to contact the servicing company or technician and schedule a service. Air cons are sensitive gadgets and require regular servicing. Getting the right person to service them is a good place to start to ensure the lifespan of your unit is increased. Waiting for long before servicing your air con can lead to it breaking down and hence cost you more money. There are a number of good and licensed companies in Singapore you just need to find the right one and at the correct price. The benefits of regularly servicing the unit are numerous and at the top of them is a healthy life and prolonged lifespan. So don’t wait until your unit breaks down, look for the telltale signs and schedule a service. Air conditioning can be seen as the most important component in keeping our homes comfortable as possible. Significant changes in the airflow circulation can be almost felt instantly when the aircon is powered up. Room temperature rise during the monsoon seasons in Singapore making it uncomfortable to stay indoors. Air conditioners are responsible for bringing down high room temperature by cooling down the air. Humidity levels is also controlled through the use of aircon and contribute to making our homes as relaxing as possible. Regular servicing ensures that the aircon continues to perform optimally. However, many people have a hard time noticing that their air conditioners needs servicing. Ensuring that the air conditioner is taken for scheduled maintenance could save you from incurring costs in getting it repaired or ultimately having to replace your unit. Here are some signs that your aircon needs immediate attention. Cooling our homes is one of the main reasons why people buy air conditioners. Lack of cool airflow is one problem you should be on the look out for. Most people dismiss the lack of cool air flowing as a simple problem only to realize later it was part of a bigger problem. Lack of cool airflow shows that either the compressor or the freon levels are dangerously low. The problem begins manifesting when the aircon isn't routinely checked for any problems. Initially, the aircon will struggle to keep the air temperatures low thereby forcing its users to run it on full blast. Dust might be clogging the vents causing the air conditioner's efficiency to reduce drastically. Dust build up damages circuits within the aircon and ultimately destroy the device. We are encouraged to routinely take our devices for aircon services, aircon servicing, and aircon cleaning. You can also request the technician to come and check if the aircon is too heavy. Noise coming from the aircon is an indicator that there is some debris is stuck in the fan. Debris stuck in the air conditioner could be contributing to an increase in wear and tear of the components of the aircon. 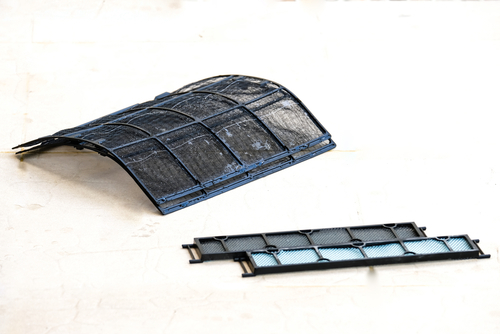 With continued use, the air filters get damaged and debris gets sucked in into the air conditioner. Debris such as dust, metallic particles, and twigs hinder the working of mechanical components. The air conditioner will start producing peculiar noises and overtime this noise could become too much. You can routinely confirm if there is debris stuck by setting the aircon to run in full blast. The intense vibrations will alert you that there might be something stuck. If you suspect that there might be something stuck in the air-conditioner, request for aircon maintenance and servicing. Always be cautious of any noises produced by your aircon, they could serve as an early warning that something is stuck. Old components could be falling apart and contributing to the noise. When taken for maintenance, the aircon screws are tightened thus reduced instances of vibrations. Most people ignore the sudden rise in the amount they pay in power bills. Failing components within the air conditioner such as the thermostat, clogged fans, and compressor problems often lead to more power usage. When one or more components fail they cause the air conditioner to use up more power thus driving your bill higher. If you have a strict habit of monitoring your electric bills noting the sudden changes will be an easy task. You can start by comparing your past three months electric bills and note if there is a constant increase in the amount paid. One simple way used in noting more power consumption is by keeping track of all electric devices used in the house. Small appliances contribute less to high electric bills are often powered down. The aircon, however, is mostly powered up and used more during specific seasons. You can keep track of when the aircon was mostly used and use that to determine if it consuming more power. You can measure the device's voltages and power consumption if you have the technical know-how. 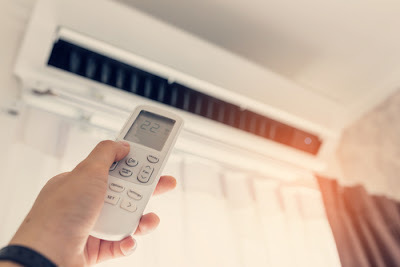 If your suspicions have been confirmed true then it is the high time the air conditioner is taken in for aircon services, aircon servicing, and maintenance. A foul smell is an indicator that there is something wrong with the air conditioner. Bugs and small creatures could be stuck within the air conditioner thus contributing to the bad odor. A soggy filter and a damaged compressor could also be the source of the bad smell. Different manufacturers use modern coolants and when it leaks in the aircon it produces a foul smell. The odor should be used as an early warning that the aircon is having trouble and requires immediate attention. Humidity levels in the house can also be used in confirming that the aircon is properly working. When an air conditioner isn't working properly the house tends to get stuffy. High humidity encourages the growth of bacteria and fungi cultures. During the monsoon season in Singapore, these cultures could eat up your clothes, carpet, and furniture. It is important that we maintain clear airflow to prevent this build up. Leakages coming from the aircon could lead to serious health complications. Chemicals used as coolants are generally toxic. When you note any type of fluid leak coming from the aircon you should exercise caution and call an aircon expert right away. Ignoring the leaks could put you and your family in harm's way. Manufacturers emphasize on the use of an air conditioner for a specific period and after that, it is prone to damage. Moving components experience wear and tear which could lead to the development of leaks. Moisture build up is also experienced while the air conditioner cools the air. During seasons of high humidity, air conditioners are prone to water forming and settling in the electrical system. When the water is let to build up it damages the electrical circuits within the air conditioner. To prevent these aircon services, aircon servicing and maintenance experts recommend that we apply silica gel to protect the circuits. To ensure that your aircon outlives its lifespan, it is important that we stay on the lookout for any of the mentioned signs. Many people are afraid of calling technicians as fear incurring huge bills. However, this is not the case and technicians always have your best interest at heart. If the air conditioner is still under the warranty period, you can call the manufacturer and get free servicing. Do not let the small problem end up destroying your valuable device as it costs more to replace the whole unit.